Digital technology is enabling broad transformation of companies in every industry and of all sizes. Social, Mobile, Analytics and Cloud together form the digital ecosystems disrupting the threshold of what it means it to stay competitive. Therefore, businesses need to build foundational digital capabilities in order to meet the changing demands of the market and its invisible hand has forced the transformation as evidenced in repeated surveys. 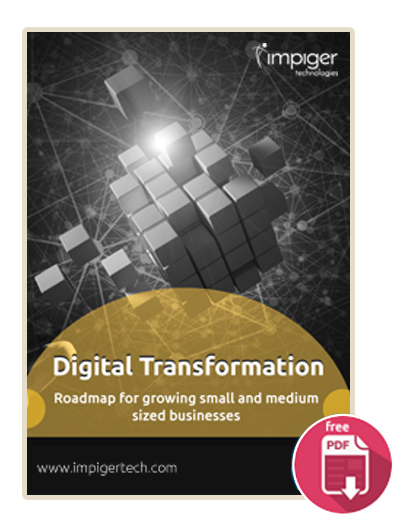 This white paper gives everything SMBs needs to develop a digital vision and build new business models based on digital opportunities. We provide statistics, survey results, and need for digital solutions and we end with examples of organizations that have disrupted their industries by rethinking their approach to doing business. Employee Engagement Create an engaging workplace for your employees and keep happy, motivated, and efficient. Business Intelligence Get faster insights and clear visibility of your key metrics with data dashboards and manage your business better.